Every program no matter how well written can have bugs or other defects – there’s no exception to this rule, including in your PHP scripts or any other software program that you develop. 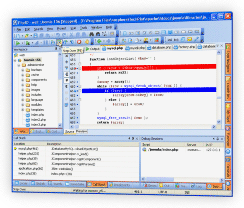 Debugging is the process of finding the bugs so they can be fixed and the PHP Debugger is the best tool for helping you find the bugs fast and eliminate them from your PHP programs. You can setup remote debugging in PhpED with the help of debug PHP Settings Wizard and DBG Wizard. 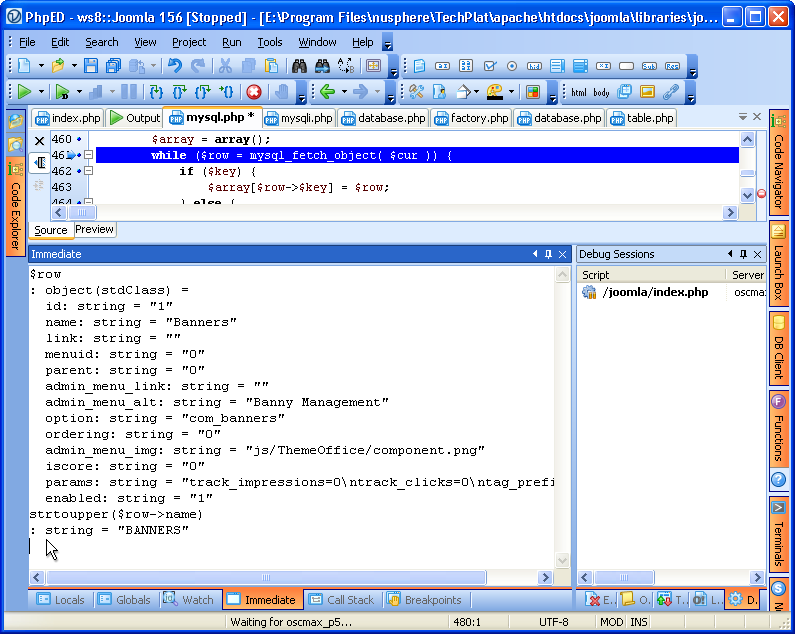 For information about supported platforms and how to install PHP Debugger modules please check debugging PHP on various platforms page. 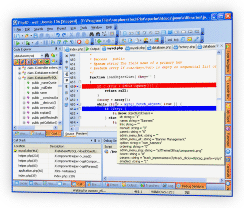 There are many techniques used for PHP debugging, varying from desperate PHP code inspection to angry keyboard slamming. A less extreme and more useful approach would be to use print statements and logging embedded in your PHP code, printing out variable values throughout various stages of the program execution. PhpED’s PHP Debugger will let you step through your php code, control the execution flow, see the current values of all variables in the script as well as content of the arrays and classes at each stage or even assign different values to the variables on the fly and do all of it without making any changes to php application. 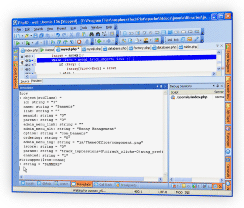 This brief tutorial will help you to learn how to use PhpED’s PHP Debugger. 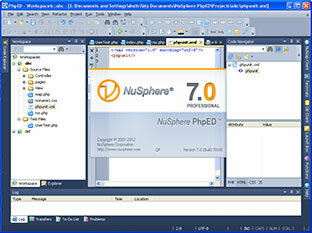 Step-In: Execute the next line of php code. Step-Out: Return to the line of php code that called the function you are in. The Call Stack window displays the function calls that brought you to the current script location. The top of the Call Stack window lists the last function called by your script. Below this is the listing for the previously called function. The listing continues, with the first function called in your script located at the bottom of the list. 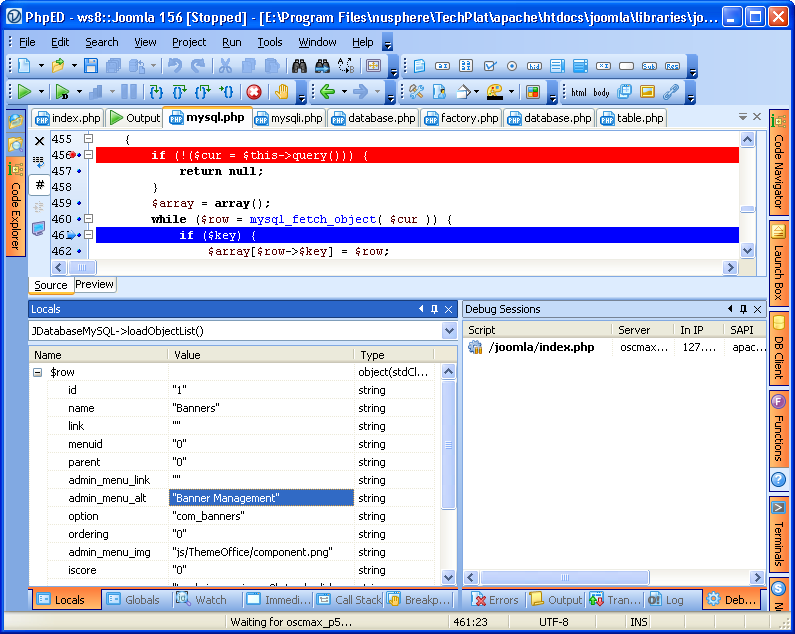 The Call Stack window also shows the names of member functions (or methods). 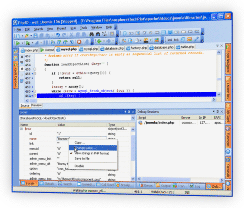 Each member function is prefixed with the name of the class that defines the function. 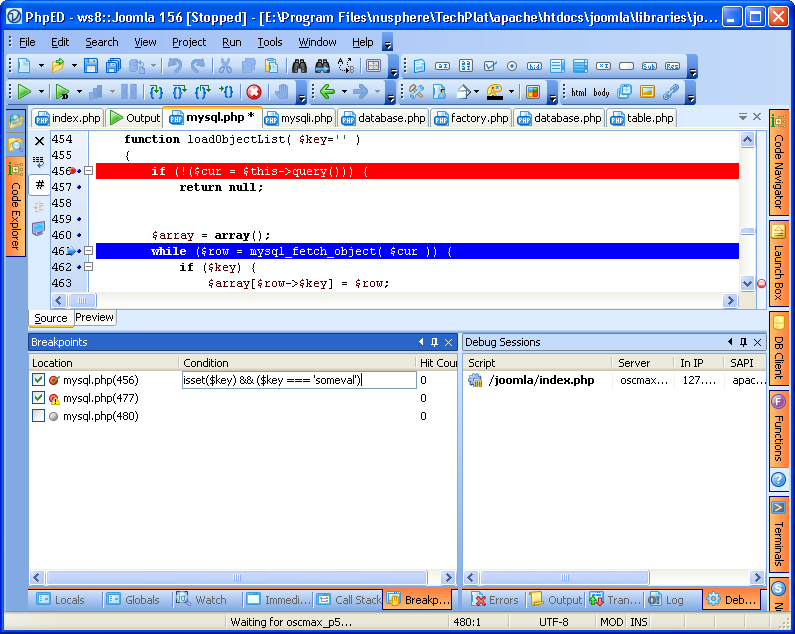 PhpED’s PHP Debugger three ways to see the values of the variables or the members of the PHP class. 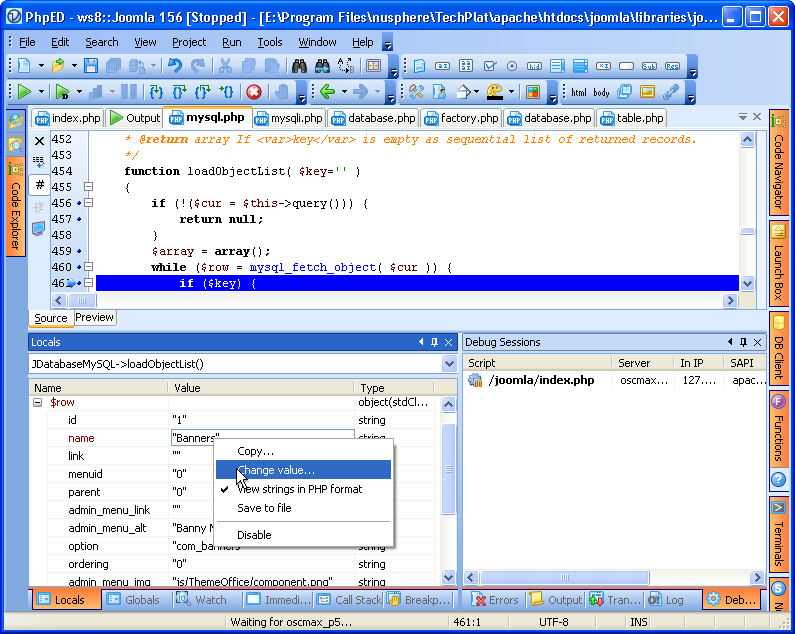 The PhpED PHP Debugger will let you assign a different value to any PHP variable. This feature allows you test your fix before you change the actual PHP code in the script. PhpED allows you to easily set and toggle breakpoints anywhere in your PHP code. 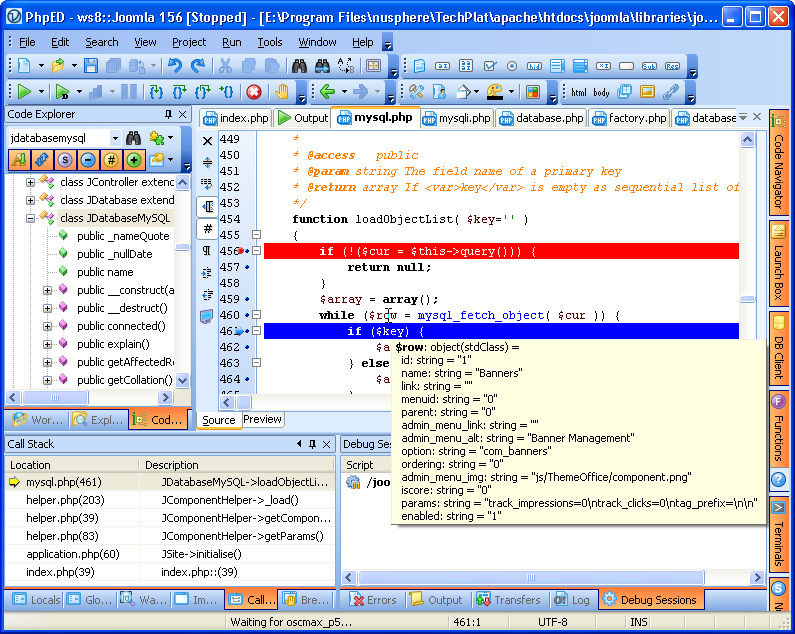 The lines of code highlighted in blue represent breakpoints. 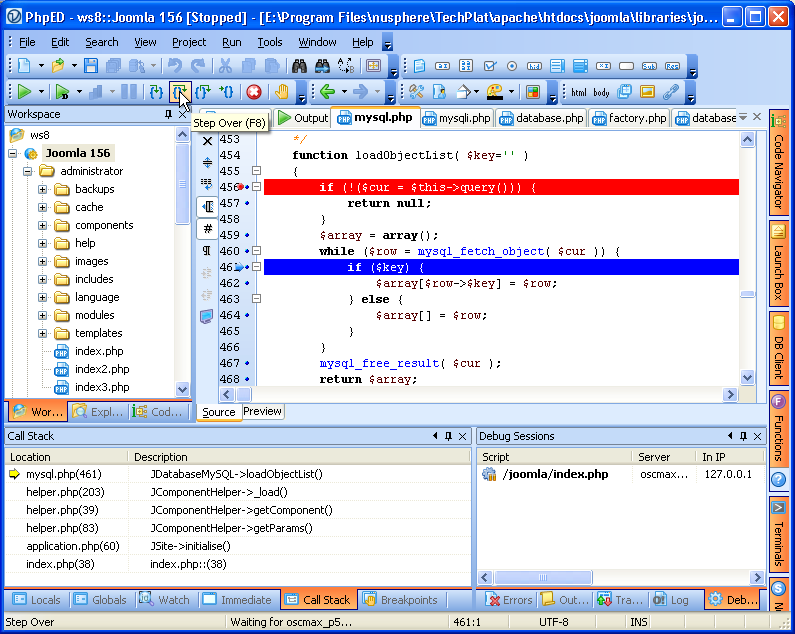 The line in red shows the PHP script current state. You can set/toggle breakpoints from a toolbar, by typing the “F5″ key, or by clicking on the red dot to the left of the line of code. In this tutorial you learned about the many features of the PHP Debugger and how to use them to quickly find and eliminate bugs from your PHP scripts. 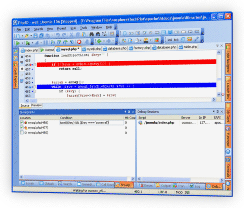 You can watch a live demonstration of using the PHP debugger and advanced remote PHP debugging from our video tutorial library. Additional technical information is available on the NuSphere Forum. 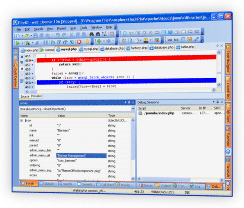 Download a free trial of our PHP Debugger today!